Glastonbury Town Hall needed a TIG Welder to fabricate a bespoke Food Grade Stainless Steel Kitchen Table. 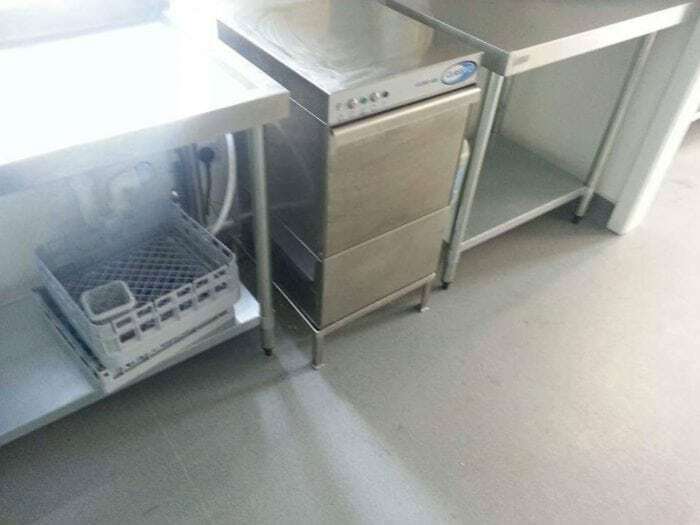 The table needed to be fabricated to allow the dishwasher to be at the same level as the kitchen worktops. 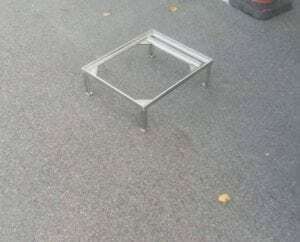 We made a frame from 316 Stainless Steel Angle Iron. It was fully TIG Welded with a brushed finish. The result was a perfect fit, and Glastonbury Town Hall were very pleased with the solution. For all your catering and food grade fabrication requirements give SAS Welding Services a call. 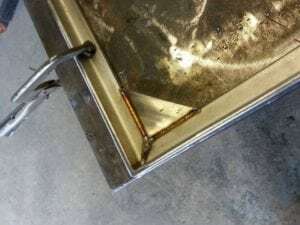 Our TIG welders are highly skilled and always give a professional finish.